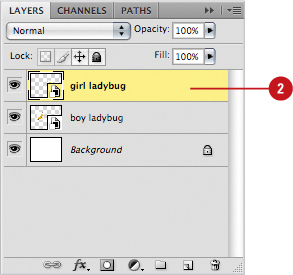 Photoshop gives you the capacity to use the smart guides to help to align forms, slices, and selections while you draw. It appears automatically while you draw a form or create a selection or a slice, and disappears then after the form is drawn. 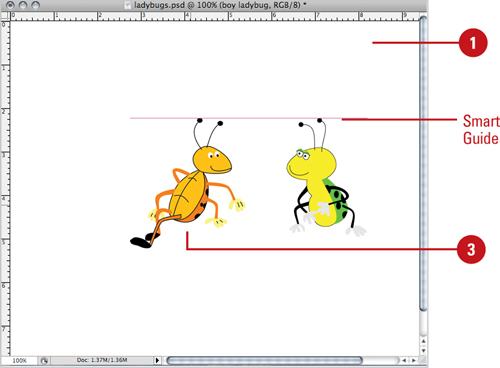 It enables you to visually align an object with the other with a minimum of effort. Smart guides are automatically lit by default. 1. Open or create a multi-layered document. 2. Select a layer that contains an object. 3. Select the Move tool, and drag the object. As you move the object, Smart Guides appear to help you align the objects. 4. Release the mouse and the guides disappear. You can turn Smart Guides on and off. Click the View menu, point to Show, and then click Smart Guides.